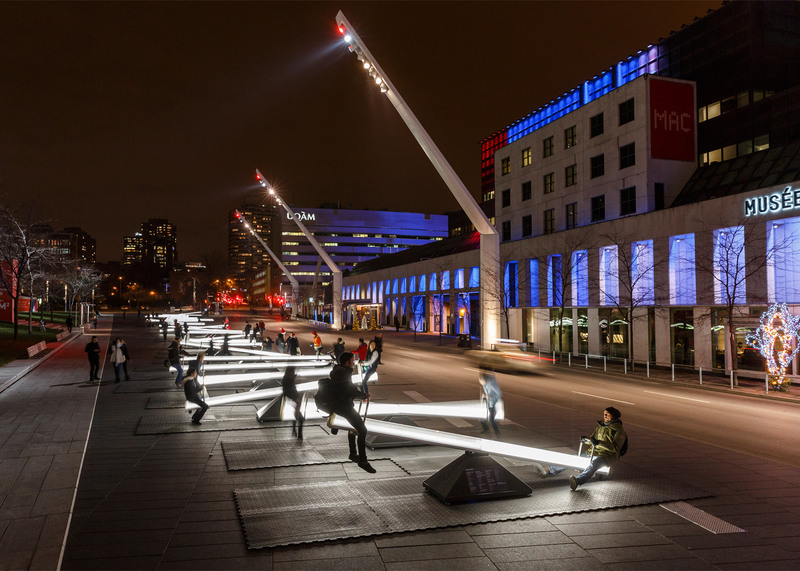 A team of Canadian designers and artists has created an installation in Montreal consisting of 30 illuminated seesaws. 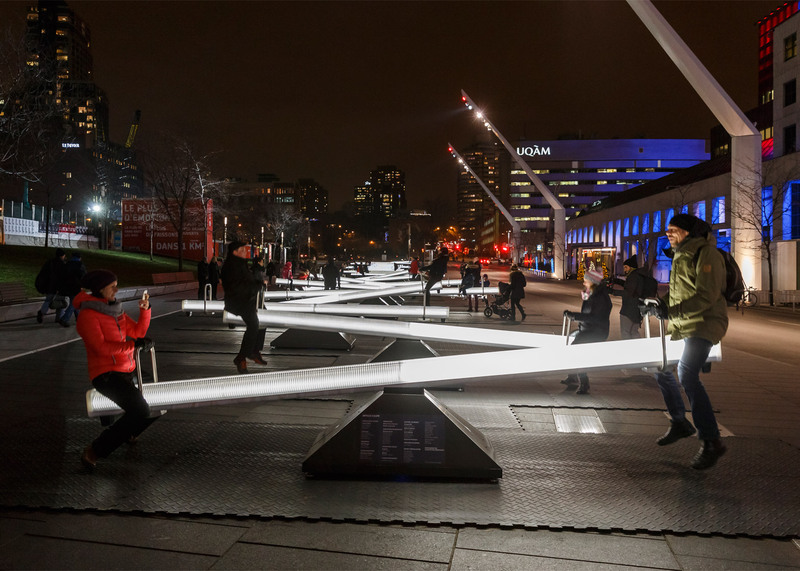 Toronto-based Lateral Office and Montreal-based CS Design – in collaboration with engineer EGP Group – placed 30 seesaws of varying sizes in Place des Festivals to create the Impulse installation. 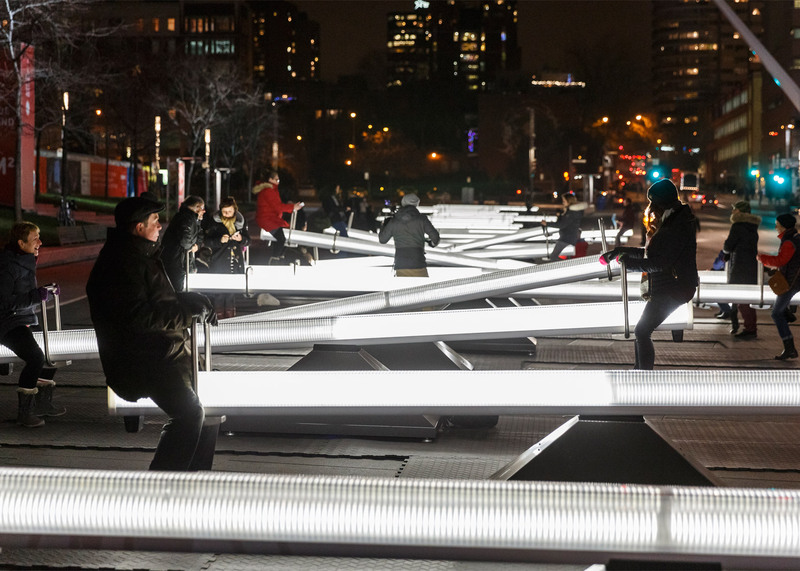 Each seesaw is fitted with LEDs and speakers. The light intensity and sound change as the plank moves up and down. 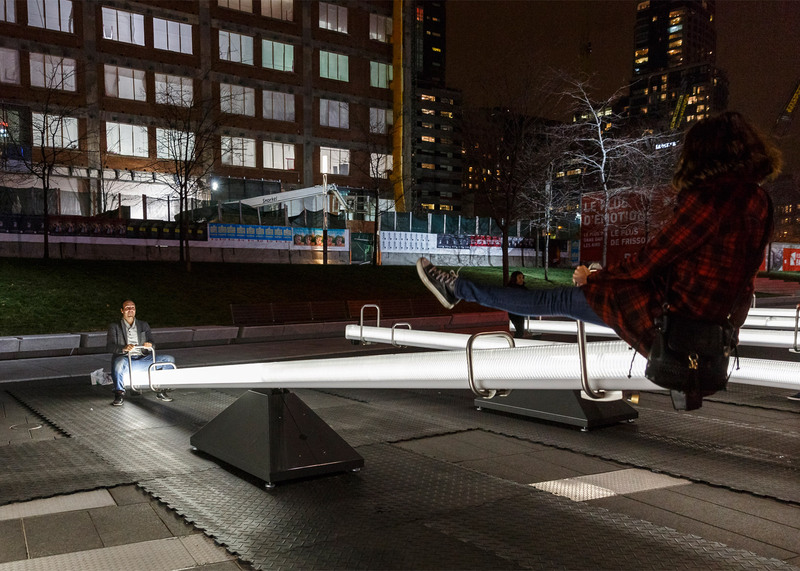 "To activate them, visitors straddle them like any other seesaw," said the event organisers. "Once in motion, the built-in lights and speakers produce a harmonious sequence of sounds and lights, resulting in a constantly evolving ephemeral composition." Each visitor is meant to have a different experience while using the seesaws, according to the team. "Impulse is an urban installation that renews itself for every different audience," said the organisers. "Each person becomes, while on the seesaws, the player of a novel instrument." 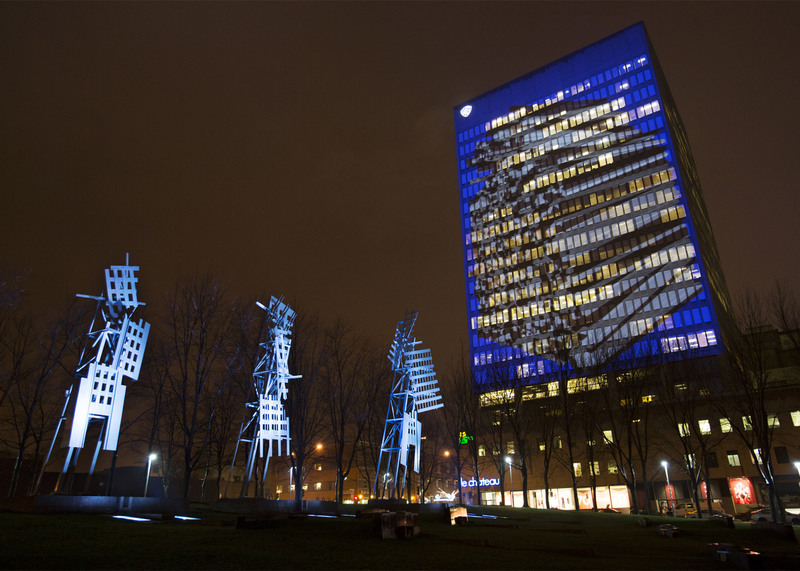 The design team also produced accompanying videos that are projected onto surrounding buildings, with the video imagery inspired by the seesaws. 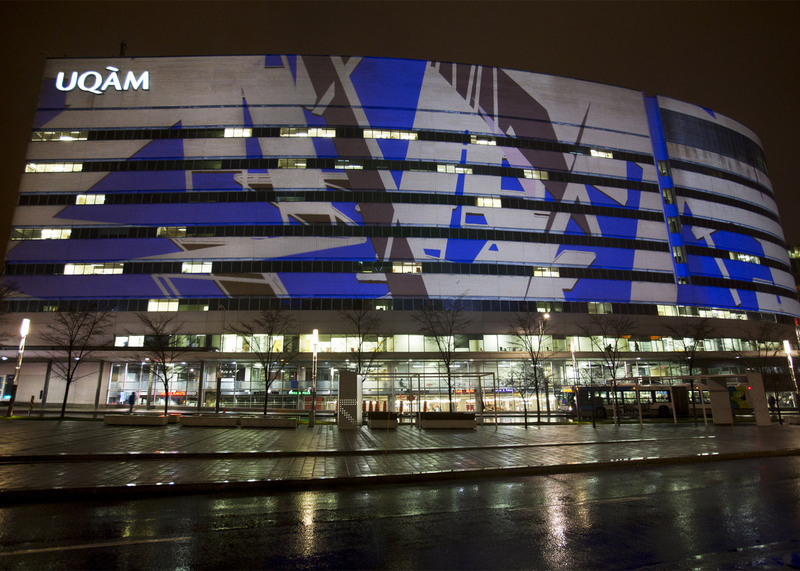 "Through the use of architectural lines, a hypnotic soundtrack and an entertaining illusion of depth, the nine architectural video projections echo the seesaws of the Place des Festivals," said the organisers. "Playing with the notions of balance and unbalance, symmetry and asymmetry, tension and harmony, the video projections are visual experiments illustrating the original soundtrack created for each video." 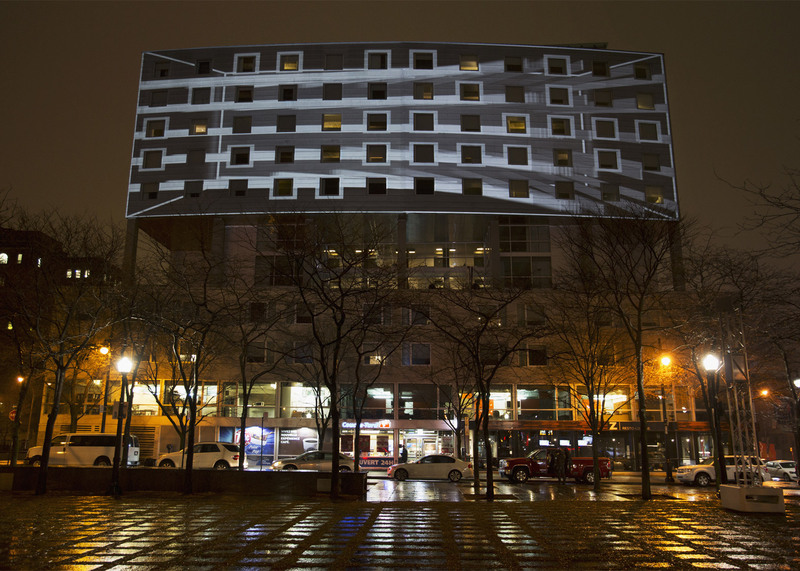 The video projections were created by digital artist Mathieu Le Sourd (Maotik) and Iregular, a studio whose work combines art and technology. Mitchell Akiyama, a Toronto-based composer, produced the soundtracks for the seesaws and videos. The Impulse scheme was chosen through an open design competition. 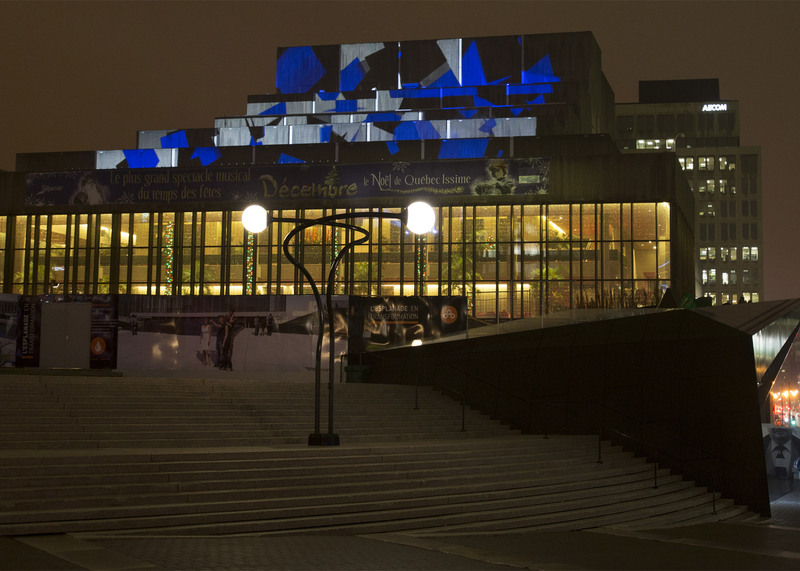 "Every year, we are eager to give Montrealers a new creative winter experience in the heart of the Quartier des Spectacles," said Chantal Rossi, the city's associate councillor of cultural, heritage and design. 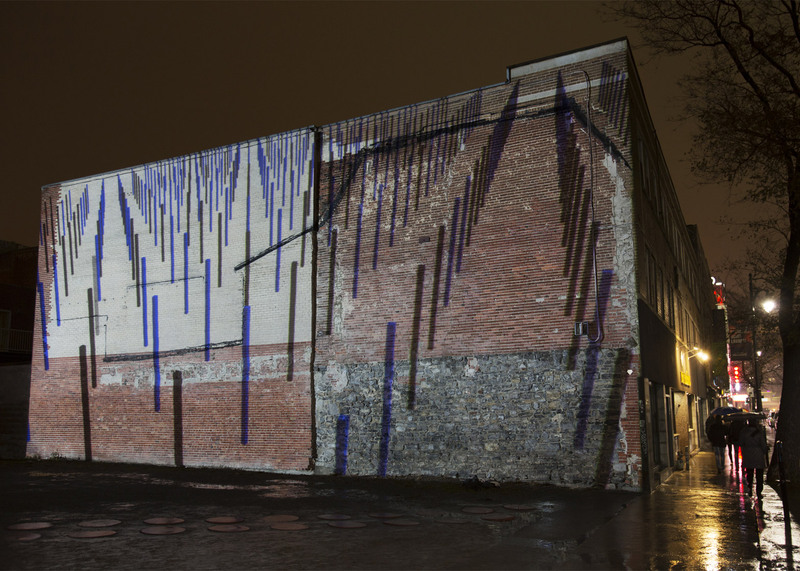 "Luminothérapie's public installations transform our relationship with the city, beautify it, and give it a wonderful friendly touch," she added. 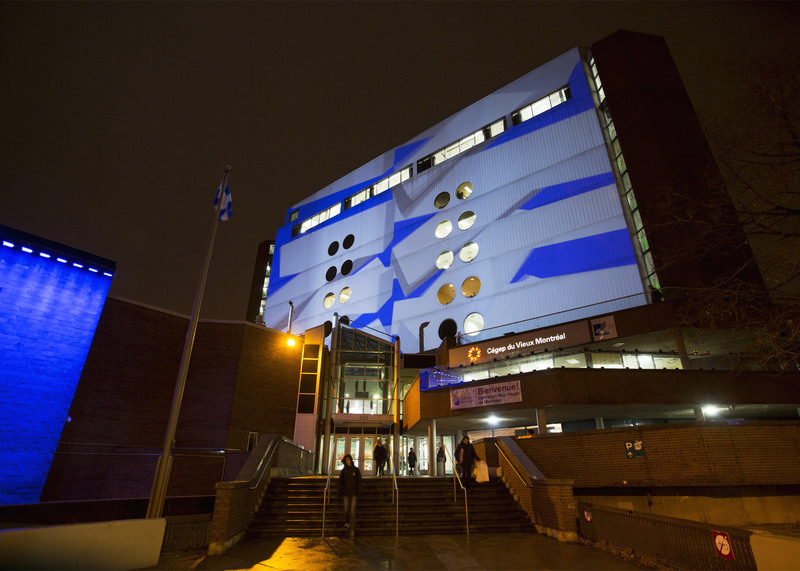 Impulse is on view from 10 December 2015 to 31 January 2016. Lateral Office was founded in 2003 by Lola Sheppard and Mason White. The studio previously created an installation for the Chicago Architecture Biennial 2015 that shows proposals for campsites suited to 21st-century lifestyles. CS Design was established in 2008 by Conor Sampson. 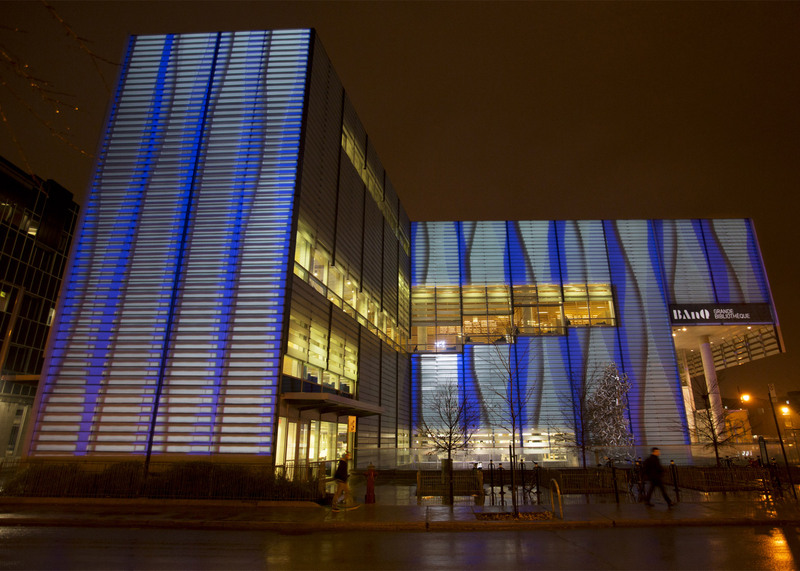 The firm has designed lighting schemes for parks, heritage buildings and monuments. Other recent lighting installations include a canopy of 650 pulsating lanterns in Manhattan by Rockwell Group and a glowing crystal ball by Fernando Romero that was shown at Design Miami 2015.